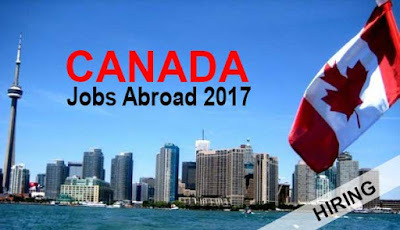 Canada is one of the wealthiest countries in the world and because of the growing economy of this country, it needs more Filipino worker to do numerous job. Canada is in needs of Filipino medical staffs, caregivers, and skilled worker. There are accredited manpower agencies that have job order coming from POEA. These agencies can recruit Filipino who wants to work abroad because they have POEA licenses. A-MAX PHILIPPINES INTERNATIONAL PROMOTION, INC.
That is the list of agency with their job order coming from POEA. We will update this post when there's a new job order. If you want to apply to these agencies, you can contact them and ask the qualifications and requirements, or visit their offices. If you want to check these agencies there have valid license, go to POEA website and search their name. According to David Axelrod, a former Obama adviser, Trump is desperate to embrace the poll. 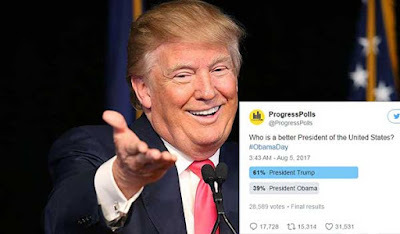 President Trump shared a dubious Twitter poll Thursday that shows him to be considered “a better president” than the former President Barack Obama. According to President Trump, no administration achieved what he achieved. Australia is one of the wealthiest countries; it generates its income from various sources including mining-related exports, telecommunications, banking, and manufacturing. If you plan to work abroad, this country is the best for you, especially if you are a skilled worker. There are numerous job order coming from the POEA this August 2017. Some of this job vacancies are Mechanic, technician, automotive, and welder. CAVES TREASURES MANPOWER & CONSTRUCTION CORPORATION, is one of the accredited manpower agency by POEA. Its' office can be found in Suite Annex 31-A, 3rd Floor, Zeta II Building, # 191 Salcedo Street Legaspi Village, Makati City. According in POEA website, its license is valid from August 10, 2014, to August 9, 2018. To apply to this agency, simply contact them first before submitting any documents. Their contact number is (+632) 8134862. Ask the agency if the vacancy is still available and the complete requirements of this job. In case you want to verify their agency if it is legal or has an accreditation by POEA, simply go to the official website of POEA (www.poea.gov.ph/cgi-bin/agSearch.asp ) and search the agency. General Reminders: This blog is not related to the said agency or in POEA. Apply directly to the agency and DON'T leave your personal details (Number, Passport) in the comment section. It has been said that programmers are the most obliging people in our generation today as we are living in the millennial era specifically the age of technologies. Plenty of programs, softwares, applications, and games were invented, updated and developed by these so called programmers which are pretty convenient to many. Aside from that are the coding parts where they create an output through codes using programming software to satisfy human needs and/or wants. Based on a survey, people use technologies to make their works easier and faster so they prefer it than the usual manual and detailed process. Their contribution has been highly appreciated and so, some institutions decided to introduce Computer Programming to our Senior High Schoolers. This triggers the youngsters to exploit their creativity through variety of ways of programming. We may be familiar with bloggers who manage their own blogs or sites. Well, that’s an example of what you may become once you study computer programming. These are just the cover of the range of the specialized subjects of Senior High School under the Technical Vocational Livelihood career track. For the scope of its central part and contextualized subjects under the senior high school curriculum, please refer to the particular lists. There are numerous skilled Filipino Welders asked us if what agency have a job order coming from POEA, and after researching we found the answer to this question. 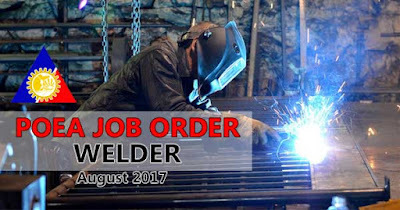 We compile below the agency who has an approved job order for Welder this August, you can see their recruitment agency names, contact details, and address. All of this information is gathered and verified on POEA website. Agency Name: BATANGUEÑO HUMAN RESOURCES INC. If you want to check these agencies if it has a valid license, go to POEA website and search their name. We will update this post if there is new job order for welder works.